← MAYOR BLOOMBERG’S SISTER SOULJAH MOMENT? The cancellation of the six REDSKINS trademark registrations is not so much a victory for American Indians, as it is a defeat for commercial speech, which means a defeat for the First Amendment. According to the Trademark Trial and Appeal Board (“TTAB”), 30% of American Indians consider REDSKINS a disparaging and offensive term. Even assuming that is so — and the flimsy record in the case does not inspire confidence — the decision should alarm Americans of every category. For the logic of the TTAB’s ruling gives any minority faction — regardless of the merit of their position — the power to deprive others of the important governmental benefit of trademark registration, which is a form of constitutionally protected commercial speech. Many commentators have viewed the case as a contest over respect for Native Americans. But the TTAB ruling transcends the trademarks in question. One does not have to agree that a word with obvious racial overtones like “redskins” is an appropriate choice for a football team, to appreciate the chilling effects of the ruling. The root of the danger does not lie with the 2-1 majority decision to cancel. It lies with the law they applied. The Lanham Act empowers the United States Patent and Trademark Office to register marks. Registration, though not a prerequisite to use, confers many advantages: it provides a key to the doors of federal court; it opens the possibility of wining attorney fees and treble damages; it establishes a presumption of nationwide constructive notice of the mark, thus depriving later users of the ability to claim that their infringement was “innocent”; it empowers registrants to enlist the assistance of the Customs Office to block the import of infringing goods. Even though registration is not required, there are good reasons why businesses spend huge sums amassing and preserving their trademark registration portfolios. For the most part, government benefits do not involve an assessment of moral issues. A man might ignore his children and cheat on his wife. He still has a right to vote. A woman may spread vicious rumors about her co-workers. She can still claim a mortgage deduction on her taxes. This license to play ethical monitor is something of an anomaly. After all, Trademark Office examiners are required to have law degrees, but they are not required to have studied ethics, morality, or theology. They are graduates of law schools, not divinity schools. To add to their burden, courts have interpreted Section 2(a) in a way that makes it almost incomprehensible. In short, the law requires Trademark Office examiners, and the TTAB which reviews their decisions, to play ethical monitor, evaluating whether a “not insignificant” or an “appreciable” number of a group consider a mark “immoral” or “disparaging.” A formidable task. The TTAB’s task in the REDSKINS case was to determine whether those marks disparaged a “substantial composite” of American Indians between 1967 and 1990, when the six registrations were issued. Under the best of circumstances, this would have been a daunting assignment. How does one go back in time, 25 to 50 years, to measure the sentiments of a “not insignificant number” of a particular ethnic group? The TTAB’s task was rendered even more difficult by the lack of help from Petitioners in the case — six Native Americans. Instead of submitting their own evidence, they simply referred the Board to an earlier TTAB proceeding, in which another group of Indians unsuccessfully challenged the same marks, and re-used that other group’s evidence. This was a strange litigation tactic. For in that prior litigation, the U.S. District Court for Washington DC had ruled that evidence insufficient to support cancellation. The D.C. Court of Appeals ultimately upheld that decision on other grounds, without questioning the District Court’s holding about the insufficiency of the evidence. So the only federal court to have examined the evidence submitted by the Petitioners to support cancellation of the REDSKINS marks had deemed that evidence insufficient. The TTAB went to great lengths to construe the recycled, disorganized evidence in the best possible light for the Petitioners. For example, the majority found evidence of disparagement in dictionary references to the word “redskins,” which described the word as “often offensive.” But all but two of these references were published after the main marks at issue were registered, and so were irrelevant to the key question of whether or the marks were “disparaging” at the time of registration. In addition, there was no evidence linking these dictionary definitions to the sentiments of American Indians, the affected group. In other words, an energized advocacy group can manufacture the very evidence supporting their advocacy. The Petitioners provided no evidence of the total size of the Native American population, and thus no way for the TTAB to put their “at least 300,000” figure into perspective. So the TTAB took judicial notice of census records to find whether the NCAI claimed membership constituted a “substantial composite” of the total Indian population. 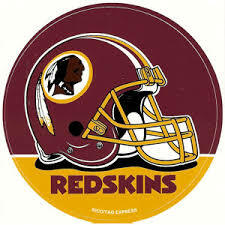 Those records showed that by 1990, when the last REDSKINS registration issued, the Indian population was 1,878,285, meaning that an organization with 300,000 members represented only 16% of the group’s population. To justify its holding that 30% of the American Indian population found the marks offensive, the majority arbitrarily assumed that the NCAI’s 1972 membership increased proportionately with the overall Indian population, a supposition for which there was absolutely no evidence. Which points to the overriding problem with this decision. The problem was not that the 2-1 majority bent the law. The problem was that the majority followed the law. That law – Section 2(a) of the Lanham Act — is probably unconstitutional. If it is not unconstitutional as written, it is certainly unconstitutional as applied. For as applied, the law authorized, in fact commanded, the TTAB to cancel a mark offensive to, at most, a small minority of the affected population. In polite society, it may seem reasonable, even laudable, to prohibit the registration of marks which contain immoral or scandalous matter, or which disparage persons and institutions. But the Constitution was not written for a polite society; it does not compel the people to be angels. Instead, it allows the people to traffic in all manner of immoral, scandalous, and disparaging communication. Many bloggers, columnists, and campaign consultants make a living doing just that. If the decision stands, it would be unfortunate. The TTAB ruled for the Petitioners not because of anything special to the experience of the Native American population. Their tragic history — the theft of their land, the decimation of their numbers –had not the slightest relevance to the TTAB’s decision. The majority ruled in their favor for one reason and one reason only: because a “substantial composite” of them had been disparaged by the marks at the time of registration. Under that logic, the Petitioners could have been any group, including white male retired polo players. For any group able to prove that a “substantial composite” of their kind were disparaged, would be entitled to cancel the offensive mark under the TTAB’s interpretation of Section 2(a). The decision, if not reversed, could lead to campaigns by other groups – less deserving, perhaps, than American Indians – to claim disparagement and, on that basis, to seek the cancellation of marks they dislike. Just as the pressure groups, identified by the experts in the case, have forced dictionary editors to alter the language to their liking, other pressure groups could pressure the Trademark Office to jettison trademark registrations conveying messages with which they disagree. This past Spring, we saw this same phenomenon unfold on college campuses, where small mobilized student factions, with the support of a few faculty members, effectively vetoed the selection of speakers to address campus audiences. Ayan Ali Hirsi, Christine Lagarde, Condoleesa Rice, Charles Murray, and Robert Birgeneau, all controversial public figures, were effectively disinvited from speaking by efforts of determined, disgruntled pressure groups. The REDSKINS decision, if it stands, has the power to turn the Trademark Office into a modern college campus, where marks bearing messages unpopular to a few are “disinvited” from the Register. I am sure there is some minority of Americans of Irish descent who are offended by the moniker “Fighting Irish”. For that matter, there are Texans who do not like being referred to as “Cowboys”. There are plenty of northerners who do not care to be referred to as “Yankees”. Once you uncork the bottle on political correctness, the genie will never be put back. One might think the Supremes have more important things to do than get involved in the name of the local football team, but when you realize that it is indeed free speech that is being quashed by government fiat, there is certainly a constitutional question here. Yeah except he Fighting Irish were founded by Irish Catholic priests and the Redskins were founded by a racist owner, who opposed integration his team, until the city of DC threatened to refuse to let them play in their city. He also hired a fake Native American to coach the team. So yeah context is everything. The repealing of the trademark has precedent under the Lanham Act. The logic here is a little confused. The decision doesn’t in any way restrict the team’s right to use the name, only their right to prohbit others from using it — that is, it lifts a restriction on the free speech rights of others. Whatever else it is, this isn’t a free speech issue. Thanks Ellen. I respectfully disagree. Trademarks are a form of speech by which the holder informs the world of the source of his products, and distinguishes his goods from those of others. If the holder cannot prohibit others from using the same mark on similar products, he is effectively prevented from conveying that message. By cancelling the registrations, the TTAB makes it much harder for the team to prohibit others from acting in that way, and thus impedes the team’s ability to convey their message. You correctly point out that the decision does not restrict the team’s right to use the name. But it inhibits their commercial speech rights nonetheless. Imagine a town hall meeting where whenever you speak, several others stand up and drown you out. You insist that the Chair silence the others so you can be heard. By your logic, the Chair could refuse and explain: “I’m not restricting your right to speak, and I refuse to impose a restriction on the free speech of others.” Surely you’d agree that the Chair’s refusal to silence others in such circumstances would abridge your right to free speech. So here in connection with commercial speech. I’m not aware that the right of free speech has been interpreted as guaranteeing one unecumbered access to a noise-free channel to experss one’s political views, but in any event the point is irrelevant here. Let’s be honest. 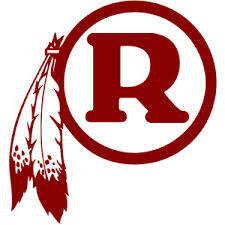 This is not about protecting someone’s exclusive right to use the name “redskin” to promote a particular Washington football team but their right rather to use it to sell gear — that is, their exclusive right to use “redskin” in commerce in reference to the existing team, not in reference to some other hypothetical one. Fans who wish to express their affection for the team via the t-shirt they wear or the beer cooler they carry are obliged to purchase the vehicle for that utterance from the team (or rather, the NFL) at a monopoly price in the form that the trademark holder dictates, rather than from some other source. Imagine a situation in which the DNC could control the rights of others to wear or sell campaign buttons with the legend “I heart Obama”—or for that matter, “I don’t heart Obama”—would you want to defend that in the name of protecting the DNC’s rights of free speech or the rights of Obama’s supporters? It will be an interesting appeal. I have found it interesting that the media does not in any way feel restrained from calling the Washington Redskins the Washington Redskins in print or in broadcasts. I doubt this would be the case if the team was called the Washington Ni**ers (that term has become radioactive). Does the fact that the media feels free to use the term Redskins bear on the issue of whether it is disparaging. It might also be enlightening to learn what percentage of Redskins paraphernalia is bought by individuals of American Indian heritage. Is it relevant that a term that might be disparaging at one point, could over time become less disparaging? I never viewed the term “Redskins” as particularly disparaging but only as a slang reference to Native Americans or Indians. But then again, I am not a Native American. Certainly Redskins fans do not view the term as disparaging. The fabled rivalry with the Dallas Cowboys is a classic rivalry between Cowboys and Indians, where the Indians often prevail ostensibly bringing honor to the term Redskins. But all of this has little to do with your main point. Why is the Patent Office charged with making these kinds of distinctions in the first place.